Daryl Johnson (Worcester Park, United Kingdom) on 5 August 2012 in Architecture. 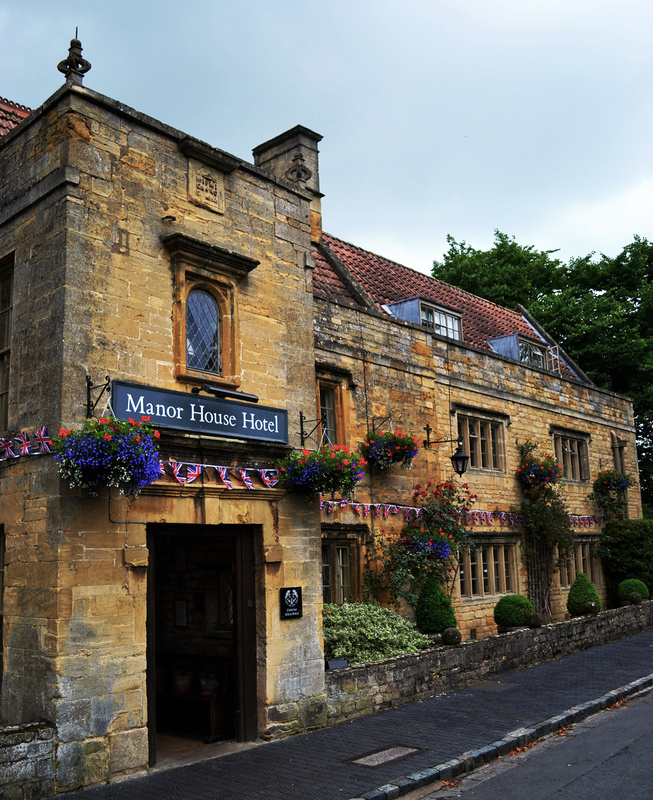 This is where we stayed when visiting the Cotswolds. Note the glorious English summer weather. @Skyriani (aka Ann): Thanks Ann, did you stay in this town? Great mix of vibrant colour and Cotswold tones/stones. Superb hotel, the architecture is beautiful. It changes modern hotels. A very nice view. The Manor house itself is lovely, but made beautiful by these hanging baskets and colours. A very welcoming looking place. I like the perspective lines of this shot. The area is famous and this little hotel looks quite cozy. I wonder if it weas comfortable, too (?!) The colours are most pleasant with that warm tonality. @Japanalia: Thanks Gabriela, we had a very nice room actually, right at the top of the house, many twisty turny corridors inside! I like the Cotswolds, and your lovely picture reminds me of the warm colour of stones in this area! A picturesque old hotel. Lovely! @Skyriani (aka Ann): You must have seen more than me!